While many beauty treatments promise instant results, I’ve found that slow and steady works best. Such is the case with the new Tria Age-Defying Laser. The Tria Age-Defying Laser is an FDA-cleared, full-face, non-ablative fractional laser for home use. I had the opportunity to give it a test drive for 12 weeks; read on for my thoughts. The Tria Age-Defying Laser offers the proven track record of fractional non-ablative laser treatments, with the convenience of at home use. If your skin has sun damage or fine lines/wrinkles or redness, the Tria Age-Defying Laser might be for you. The fact that it has been FDA-cleared, means that Tria had to provide safety and efficacy data to the FDA. That said, when using the Age-Defying Laser, you should carefully read and follow the manufacturer’s instructions before and while using. The Tria Age-Defying Laser sends targeted beams of light deep within the skin to stimulate collagen production. So basically you are working from the inside-out. 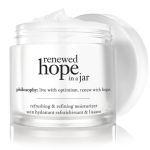 By applying this treatment over time, the skin perceives the daily treatments as “damage” and therefore starts to “repair” itself. This process is is what yields results. In a clinical trial of 34 users, 58% of subjects saw improvement in brown areas/spots, 67% of subjects saw improvement in redness and wrinkles, 75% of subjects saw improvement in skin texture and 92% of subjects were satisfied with their treatment. 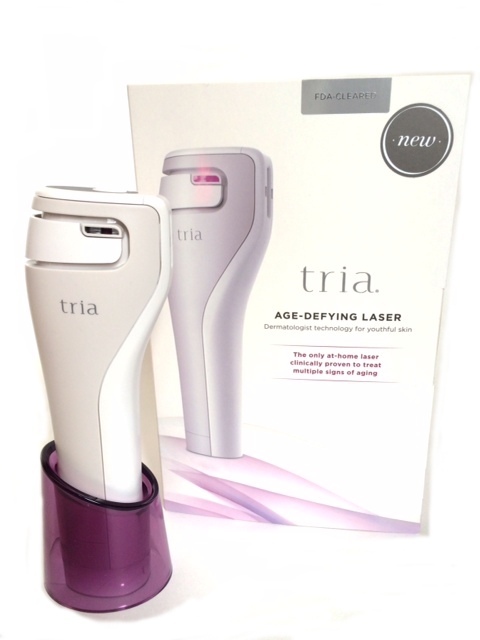 There are three treatment levels on the Tria Age-Defying Laser. The first level is used to familiarize yourself with the handling of the equipment and to get your face used to treating. The face is divided into four zones and as you move from zone to zone, the Tria will beep. Level 2 is one minute per zone or 4 minutes. Level 3 is approximately 2 1/2 minutes per zone or a 10 minute treatment time. You apply the Age-Defying Laser after cleansing your face. I found it best to wash my face, wait about 5 minutes so that it is completely dry and then start a treatment session. The treatment protocol is work your way to Level 3, then stay at Level 3 for the remainder of the treatment period, which is 5 days a week for a total of 12 weeks. I spent 1 week at Level 1, one week at Level 2, then moved to Level 3 and stayed there for the next 10 weeks. At the conclusion of the 12 week protocol, you take 4 weeks off. This is when you should see the majority of the skin improvements. The laser doesn’t “hurt”, but you do feel it zapping your skin. You might remember that I also tested the PaloVia Skin Renewing Laser (review). 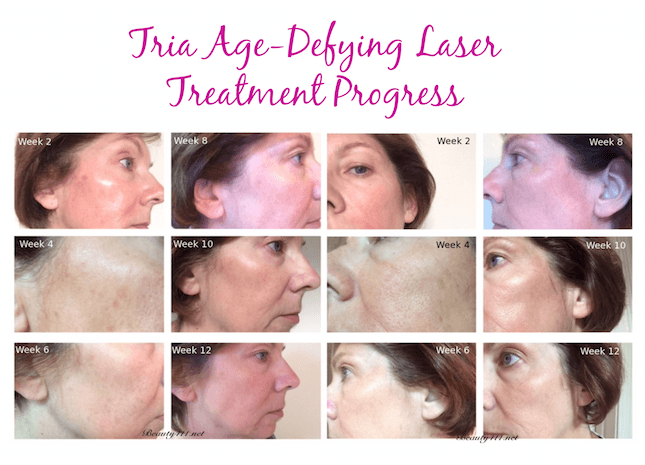 So how does Tria Age-Defying Laser differ? To be honest, it’s so much easier. Where as with the PaloVia, you would “stamp” the laser in the peri-orbital region (that was the only area of the face it was approved for), with the Age-Defying Laser, it skims right over your face. You also don’t need to use a gel in conjunction with the Age-Defying Laser. Tria does offer their own Priming Cleanser and Finishing Serum, but I didn’t use those. I began to see improvements within the first 4 weeks of treatment–similar to the clinical trial results. I found the Age-Defying Laser to work well on my hyperpigmentation and sun spots, as well as treat fine lines and wrinkles. I saw steady progress with each week of use. But I also experienced some common side effects, although nothing severe enough to make me discontinue. For example, about the 3-4th week of treatment, my skin started to feel very dry and like sandpaper. No amount of moisturizer or oil ever really resolved this. I did my Tria treatments at night. Post-treatment, my skin was red; as if I had gotten a sunburn. I found that by using Avène Eau Thermale Water immediately after the Age-Defying Laser Treatment seemed to help take the sting away. I followed up by applying Josie Maran Argan Oil and a little later, Avène Cicalfate Post-Procedure Skin Recovery Emulsion and my eye cream. I applied no other anti-aging products while I was testing the Age-Defying Laser. In the morning, I applied my usual Skinceuticals C E Ferulic Serum, followed by Skinceuticals Hydrating B5 Gel. 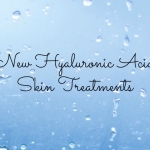 I have read a study that shows higher overall improvement scores when using C E Ferulic in conjunction with Fractional laser treatments and since that is a daily part of my normal daily skincare regimen, I definitely wanted to continue. 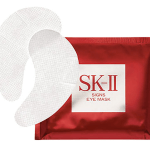 I followed that with SkinMedica Redness Relief Calmplex, sunscreen and eye cream. 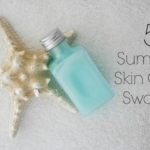 Several times a week I would apply a hydrating mask; ones that I like include First Aid Beauty Ultra Repair Instant Oatmeal Mask, SK-II Facial Treatment Mask and Avène Soothing Moisture Mask. As you can tell, the name of the game for me was hydration, hydration, hydration. Overall, I’m very pleased with my Tria Age-Defying Laser ($495) results. I’m in my “rest period” now and will probably start another treatment regimen in a few weeks to treat the remaining sun damage I have. You can see a noticeable improvement in lightening of sun damage and improved tone in the nasolabial area and forehead. Would you use a product like the Tria Age-Defying Laser? Let me know in the comments! Disclosure: I received a sample of the Tria Age-Defying Laser for testing and evaluation purposes. All opinions as to the results are my own; your results may vary. Read and follow all package directions before and during treatment. Affiliate links have been used in the post; see Disclosure Policy for additional information. Why dont you do before snd after pics of yourself? I posted a succession of treatment photos taken every 2 weeks for the span of the treatment period for each side of my face, as well as a general before/after photo. I guess I’m confused as to how many more would have been necessary…maybe you didn’t read the post? I can say I would!! Although I could never afford a 500$ laser. I just turned 30 and have sun spots on my cheeks like my grandma, aunts and mother. Two thumbs up lady!! 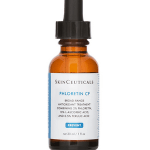 @Valerie At your age, if you are diligent with sunscreen and use a product like Skinceuticals Advanced Pigment Corrector, you might be able to make significant improvement in the appearance of those sunspots without a laser treatment! Thanks for stopping by! While I would definitely like to get rid of wrinkles and dark spots, I find skin like sandpaper a negative trade off. Does the skin remain rough and dry? I have good skin texture and would like to keep it that way. Does the dry , sandpaper skin go away? @Jean While everyone’s experience is unique, for me, the dry sandpaper feeling went away after a couple weeks. I was pleased with the results + thought it was worth the trade-off. 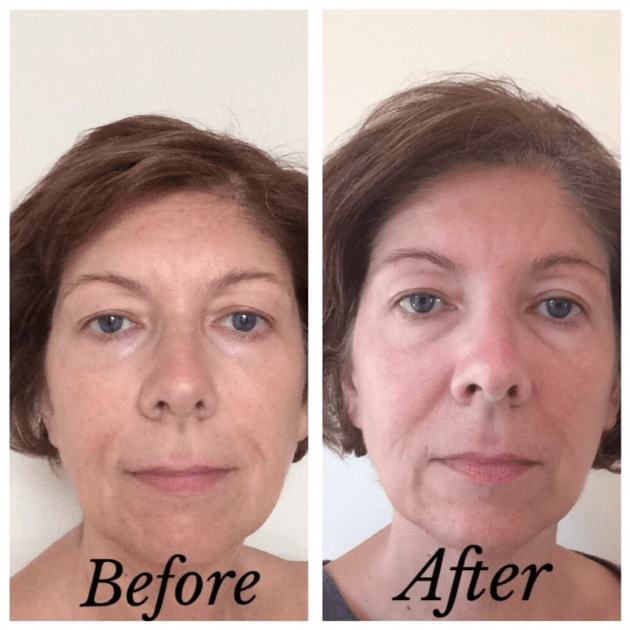 On the nights when you did a mask did you do the mask before or after using the Tria Laser? Thank you. @Gwen I did the masks a few hours before, as well as on the “days off”. Hope that helps! How much did the “zapping” sting. I had an RF ablation treatment which they said would zap but not hurt and I found it very painful. Did it sting much? @Judy: I have NO pain tolerance, which is why I worked through each step. I would describe it as “mildly uncomfortable”; like a rubber band snapping on your skin. Once I got used to the sensation, it was fine. Hope that helps! Good luck! I’m using this now and just finished week one. I couldn’t even feel the first level but I can already see a slight difference. I would much rather do this than use the chemicals that go into the anti-wrinkle creams… not to mention collagen molecules can’t pass through the skin, so most creams don’t do a heck of a lot. My question is…did you target the jaw region? I’ve got some pesky jowls and I’m hope they’ll tighten up a little. Thanks for the blog! 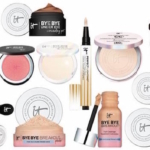 @Jen: When I tested this ( and all products), I felt it was important to use it in only the areas it was tested on, so no, I didn’t try it the jawline or jowls. But good luck with it! I was really pleased with how it worked! Have you done a second round with the Tria laser? If so, I would love to see more photos. I was wondering how effective it is on aging eyes. I am starting to notice hooded eyelids and crows feet. @Karen There is now a Tria out that was developed just for the eye area. You can read my review and see my results here: http://beauty411.net/2016/05/tria-eye-wrinkle-correcting-laser-review.html.